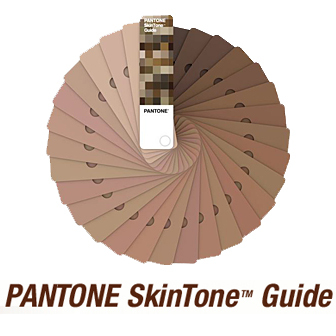 [New York], September 19, 2012 - Pantone LLC, the global authority on color and provider of professional color standards for the design industries, unveiled the PANTONE® SkinTone™ Guide; an exciting new collection of 110 skin tone shades for inspiration and use in any application where skin tone needs to be matched to a color standard. - 110 colors numbered from 1Y01 SP to 4R15 SP. - Each color is identified by a unique PANTONE Number that represents both the tone and the undertone of the color. - Large-size swatch with central aperture for easy color evaluation and matching. - Reverse of swatch has mock perforation to allow color to be shared. 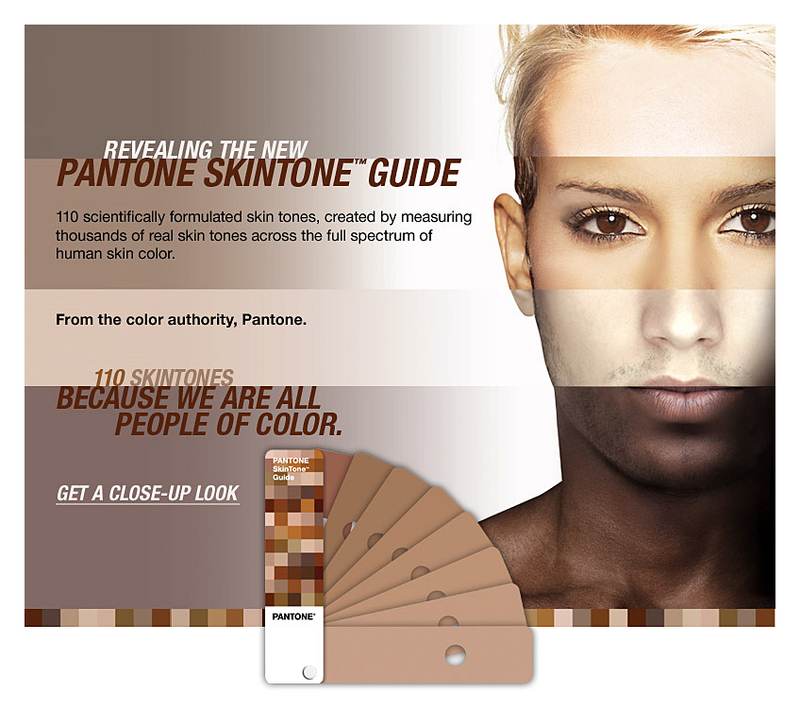 - Digital values available in PANTONE COLOR MANAGER Software. - Colors were developed to present the best color match when evaluated under D65 (Daylight 6500K) lighting. - Compatible with today's digital workflows - colors easily updated in leading design applications.